A GRACE COMMUNITY CHURCH DISTINCTIVE BIBLICALLY, the focal point of all church leadership is the elder. An elder is one of a plurality of biblically qualified men who jointly shepherd and oversee a local body of believers. The word translated “elder” is used nearly twenty times in Acts and the epistles in reference to this unique group of leaders who have responsibility for overseeing the people of God. …the biblical norm for church leadership is a plurality of God-ordained elders, and only by following this biblical pattern will the church maximize its fruitfulness to the glory of God. The Distinctives series articulates key bibilical and theological convictions of Grace Community Church. have charge over you in the Lord and give you instruction” (1 Thess. 5:12)—a clear reference to the overseers in the Thessalonian assembly. The primary responsibility of an elder is to serve as a manager and caretaker of the church (1 Tim. 3:5). That involves a number of specific duties. As spiritual overseers of the flock, elders are to determine church policy (Acts 15:22); oversee the church (Acts 20:28); ordain others (1 Tim. 4:14); rule, teach, and preach (1 Tim. 5:17; cf. 1 Thess. 5:12; 1 Tim. 3:2); exhort and refute (Titus 1:9); and act as shepherds, setting an example for all (1 Pet. 5:1-3). Those responsibilities put elders at the core of the New Testament church’s work. 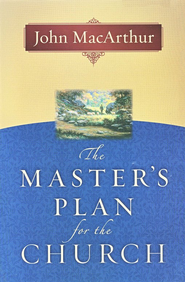 SOURCE: Adapted from John MacArthur, The Master’s Plan for the Church (Chicago: Moody Press, 1991). For a fuller treatment of biblical eldership, consult this resource.